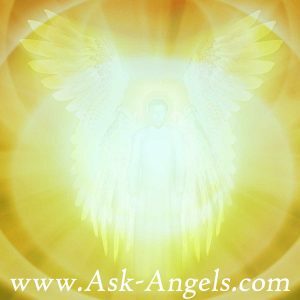 In ancient Judiac texts, Archangel Jeremiel is listed as one of the main 7 Archangels known to serve humanity… And yet today, he is not very commonly known, and there is a key reason for this! Now, I don’t mean he’s quiet in the sense that he’s not around, not helping, and not guiding humanity anymore. Rather, I mean he’s quiet in the way he communicates. 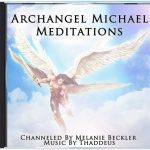 Unlike Archangel Michael who is very vocal in getting his guidance heard, (Archangel Michael is the easiest Archangel to hear)… Archangel Jeremiel mainly communicates through visions, symbols, mental movies, and dreams. He’s particularly helpful in assisting you with developing clairvoyance, receiving prophetic visions, understanding the meaning of dreams, and sorting through past memories to review your life, and resolve to make changes which will impact your future in a positive way. I sense Archangel Jeremiel to have a very bright energy, which is soft and comforting… However, his presence is very subtle. It’s almost as if Jeremiel stands behind Archangel Michael, Metatron, Uriel, and Gabriel… And he mostly communicates through visual imagery (clairvoyance), along with feeling and sensation (clairsentience) but he is incredibly powerful and helpful nonetheless! I do refer to Jeremiel as a “he” because masculine is how I perceive his energy… But of course Archangels are neither masculine nor feminine, but they may appear as such depending on how we expect them to appear, and to support us in the way that will most serve. In addition to visions, clairvoyance, prophetic gifts, and memories… Archangel Jeremiel is incredibly helpful when it comes to dealing with emotions. Specifically, he will help you to see the patterns in your life which have led to your current emotional state. This is often called a life review, where you “see” past experiences, memories, choices, and patterns that have molded your life, and impacted your energy and emotions. With this understanding, he then offers gentle guidance (usually in the form of inner visions, impressions, and mental images) to help you make positive changes to raise your emotional vibration in the present so you can positive impact your future and align with your authentic soul path and purpose. This process is similar to the Life Review work Jeremiel does with souls who have crossed over. The after death review is much more complete, as it is a review of all that has happened in their life, to help them to heal, gain insight, and recover from life in the physical, and prepare for whatever is next on their soul journey. Working with Archangel Jeremiel will not only help you to develop your clairvoyance and psychic sight… But it will also help you to see the bigger picture of the purpose for your being here in the physical now. Each choice you make and every moment is an opportunity to learn, grow, share, and experience the blessings of being alive in the physical. Jeremiel gently reminds us that although life is hard, challenging, and downright painful at times, it is also an incredible gift… His soothing soft presence offers a beautiful respite for anyone who is at a crossroads, or struggling to see the deeper meaning and purpose for being alive. Archangel Jeremiel will help you to see the blessings in your past experiences, the beauty in the present, and the inspiring future you are able to begin consciously stepping into. He is a powerful ally for realigning with the highest possible path for your life, and the authentic purpose and blueprint you created as a soul prior to birth in the physical. Clear your mind, open your heart, and be open to the soft, gentle, and visual guidance of Jeremiel guiding you to release burdens, uplift your emotional state of being and improve your life. You are a beautiful light worker Melanie. Thank you for the work you do in aid of humanity. When I found out about this Angel my mind was blown. I have always had dreams, visions and just a “knowing”. So i asked the name of the angel that could help me delve deeper into these gifts and no kidding I heard the name Jeremy in my mind. Which at the time didn’t make sense and after chewing over it for a few months I read this article and it felt like the universe blooming inside me! Thank you Melanie and Jeremiel. It’s been an incredible experience. I kept seeing Jeremiel’S name and here you go with a nice intro. I guess he really wanted to work with me. Long way of saying Thank you for the info! Saw a yellow butterfly leading me toward a healing conversation with my mom. Then saw the thumbnail for the article and just knew it was his influence, introducing himself to me. Truly my first time acknowledging and meeting him!